My interest in childhood studies, like many people, first began with being around a small child. For me, this was my younger brother – I was 12 years old when he was born. Admittedly, I wasn’t too excited by him when he did nothing but eat, sleep and poop all day (what 12-year-old would be?!) but as he got older and his personality began to shine through, I knew that he was going to grow up to be a very special person in my life – which he is, I promise! I loved being around him so much that when I turned 16 years old, I left high school to go to college to gain my National Certificate and Higher National Certificate in Early Years Education and Childcare. I accumulated a wealth of experience during these two years, both within the classroom and working in various early years settings on placements and in the summer holidays. Yet, throughout this time and the few years that followed, I never managed to find a setting where I felt that the information and skills I was being taught were 100% put into practice i.e. that children really were being placed at the centre… perhaps a story for a different blog! My life circumstances changed in the subsequent years, and in 2011 I applied to study my second passion in life – psychology. It was something I had been interested in since the age of 13. Not having many Highers under my belt (having left school at 16) I was a bit apprehensive as to whether I would be accepted. Thankfully, Heriot-Watt University in Edinburgh came back with an unconditional offer, and that autumn I first set foot in the building that (little did I know at the time) would change the course of my life. I always felt like a bit of an underdog in my undergraduate studies compared to the other students who left school at 18. I felt I needed to prove myself, and so I worked very hard. It seems this paid off because I remember in third year when having to submit my proposal for the final year thesis, my supervisor came back to me and said “This is more like something you’d submit for a PhD proposal Debbie. You might want to scale it down a bit!”. Following his comments, and after gaining my Masters in Urban and Regional Planning, I began studying that very topic for my PhD. My PhD research looks at the associations between urban greenspace and the health and wellbeing of children – it is a fascinating topic. Having grown up in rural towns and villages with ample places for children to play and explore, I was taken aback when thinking about cities. Where do children go? What do they do? How do they play? It was something I took for granted growing up and I couldn’t imagine the children living in cities having the same opportunities I did. But why can’t it be possible? Location shouldn’t determine which children can and can’t play outside – it all comes down to offering appropriate opportunities through adequate planning and development. So where does all of this fit into my involvement with A Place in Childhood (APiC)? 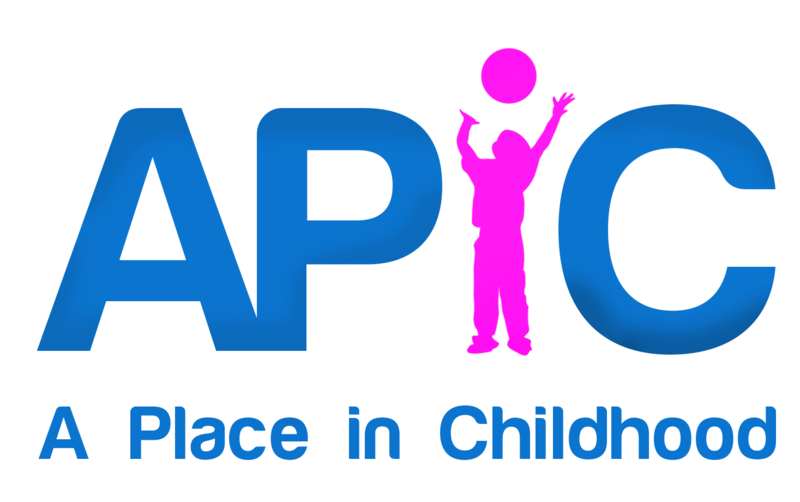 Well, first and foremost, we at APiC put children at the heart of everything we do. We truly are a child-centred charity. Understanding that children’s access to the outdoors; freedom to play; and appreciation and understanding of their built and natural environment has been in decline for quite some time, we provide consultancy services that help our clients shape better places for children. It is my ultimate goal within APiC to bridge the gap between research outcomes and professionals working with/for children. By creating a multidisciplinary network of researchers and professionals, I want to ensure that the research being carried out actually benefits children’s lives – and I want to see children being included in this! It is within a child’s rights to be involved in matters which affect them. This will help empower and include children, whilst raising their self-esteem, social skills, physical health and mental wellbeing. It will afford children the opportunity to engage with their environments, learn to appreciate them and experience better educational opportunities. Through the sharing of this knowledge, professionals will be able to better develop policy and practice for facilitating children’s needs, understand children’s rights and the importance of allowing children to contribute to society. Ultimately, it will enable the creation of more inclusive physical environments that benefit us all.